Our range of artisan cheeses are crafted by skilled cheesemakers at our small dairy in rural Sussex and offer something for every cheeseboard, whether you are looking for a soft fresh cheese or a mature blue. Join our one-day cheese-making course to learn how to make cheese at home. 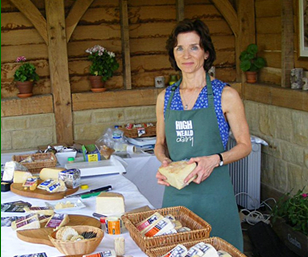 During the day you’ll make soft and hard cheeses to take home, tour the dairy, enjoy a homemade lunch and tutored tasting. Vouchers are also available so you can gift the experience. Welcome to our website. We hope you find it helpful and interesting. For your local stockists, please visit our How to Buy page. We are open 9am to 5pm (Mon - Fri) for cheese sales, and you can also purchase our cheeses and gift hampers from the online store. We make a range of award-winning cow, sheep and goat milk cheeses on our family-owned farm in the beautiful West Sussex countryside. Our small team of cheesemakers work in a modern dairy in the farm’s former grain store with every part of the cheese-making process from pasteurisation to packaging completed here at the dairy. 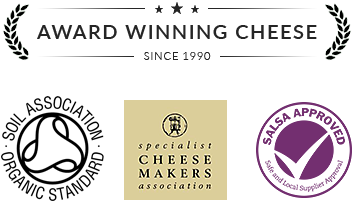 The result is a range of cheeses of which we are very proud, from the sheep-milk halloumi cheese that launched our business in the 1980s to the ever-popular Brighton Blue which you’ll find in delicatessens and farm shops across Sussex and beyond. We produce both organic and non-organic varieties and all are suitable for vegetarians. The European Agricultural Fund for Rural Development (EAFRD) contributes funds to the Rural Development Programme for England (RDPE).